It’s not even the big day yet but we’re loving the attention to detail and personalized touch on the couple’s wedding arsenal down to the welcome gifts for their guests. 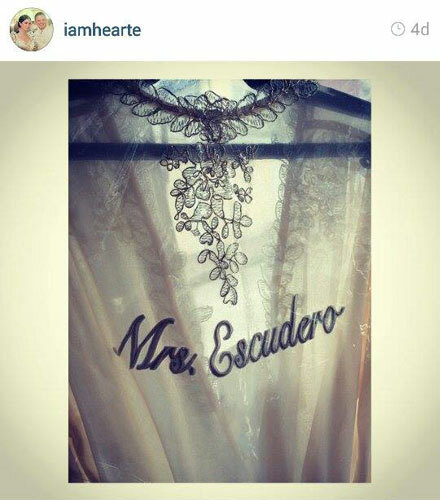 Only two days left before Heart Evangelista becomes Mrs. Chiz Escudero! Last February 12, the couple flew to Balesin Island Club in Quezon province to oversee the final preparations for their big day on the 15th. Thanks to social media, Heart gets to update her fans even if her wedding location is 60 nautical miles east of Manila. Heart, like any other bride, would love to have her parents by her side when she walks down the aisle. 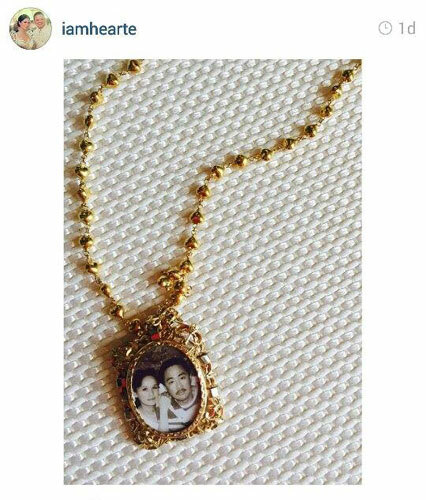 But since (at press time) they couldn’t make it, the Kapuso actress revealed that she will be wearing a gold necklace with her parents’ miniature on it. Probably next to the wedding gown, the dressing gown is also important because the picture-taking begins as soon as the bride does her make-up. It seems like the bridal entourage will get a handcrafted bag and earrings that match the salmon blush motif of the wedding. 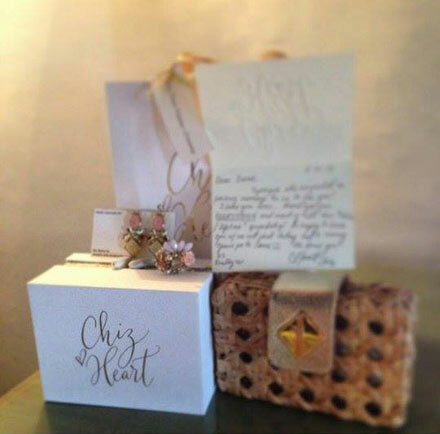 The personalized note from Heart and Chiz makes it even more special! 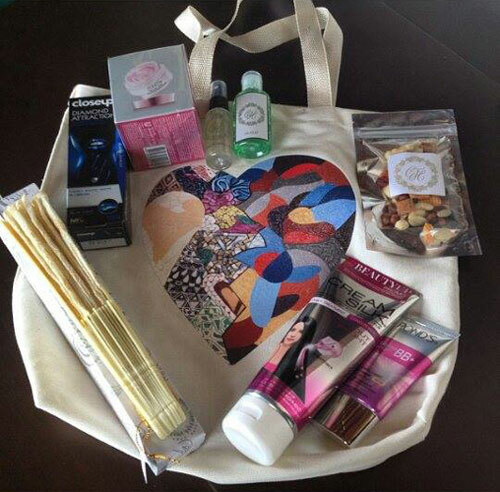 Guests will be receiving a customized travel kit—a beach bag with a heart-shaped abstract painting made by Heart and Chiz. Inside the bag are: fan, insect repellent, a pack of nuts, and some personal care and beauty products that Heart endorses. 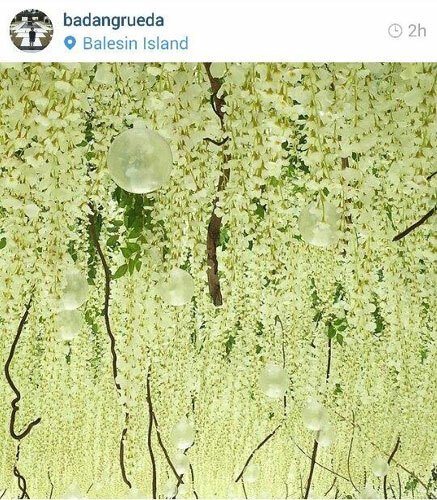 As requested by the bride, the wedding venue is now filled with lots of white flowers. 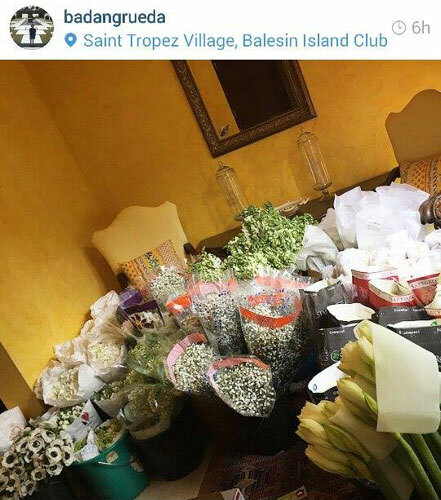 As seen in her wedding production designer's Instagram, imported flowers—roses, tulips, wisteria, crystal balls, and hyacinths—from Holland arrived at Balesin today.